Poor Xperia Play. We hardly knew ye. Sony’s PlayStation certified gaming smartphone, the Xperia Play, is barely 1-year-old and it’s already being sent to the graveyard of antique tech. It’s Google, the Android OS-making partner that Sony has hinged its smartphone gaming hopes and dreams on, that’s leaving the Xperia Play in the dust. The company posted on its official Xperia blog on Friday that after much deliberation, the decision was made to not update the Xperia Play to be compatible with Android version 4.0, otherwise known as Ice Cream Sandwich. While most 2011 Xperia models will receive Android update version 4.0.4, the Xperia Play will be left in the dust to maintain a smooth gaming experience. 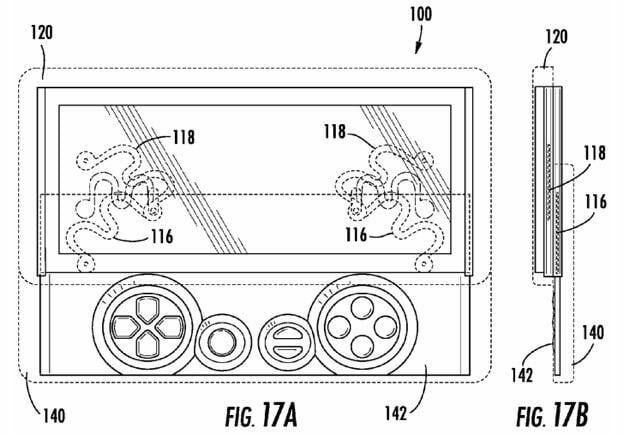 Sony patents uncovered at the end of April hinted that the original Xperia Play wasn’t long for this world anyway. These designs (pictured above) hinted at a successor the Sony’s Android phone that had not one but two sliding input pads. One included the familiar video game controller inputs seen on the current Xperia Play and a second slide out pad with a full keyboard for texting and other writing tools. Expanded functionality would certainly go a long way in making the Xperia Play a more attractive device, both to video game enthusiasts and to the regular smartphone buyer. Provided the dual slide pad build wasn’t too fragile, the phone could be a serious hit. While some critics slammed the Xperia Play for mushy buttons and iffy touch controls as substitutes for analog sticks, design was never the phone’s big problem. The Xperia Play was a failure because it didn’t have the games to make it a major success. The selection of compatible PlayStation titles was too small, the selection of Android games didn’t take full advantage of the available inputs, and the PlayStation Suite development tools intended to make development for Xperia Play, PlayStation 3, and PlayStation Vita seamless have yet to materialize. The smartphone market is the last place Sony should be competing right now though. Fingers crossed that someone else, maybe HTC, sees merit in the Xperia Play’s unique design though. Worth revisiting.